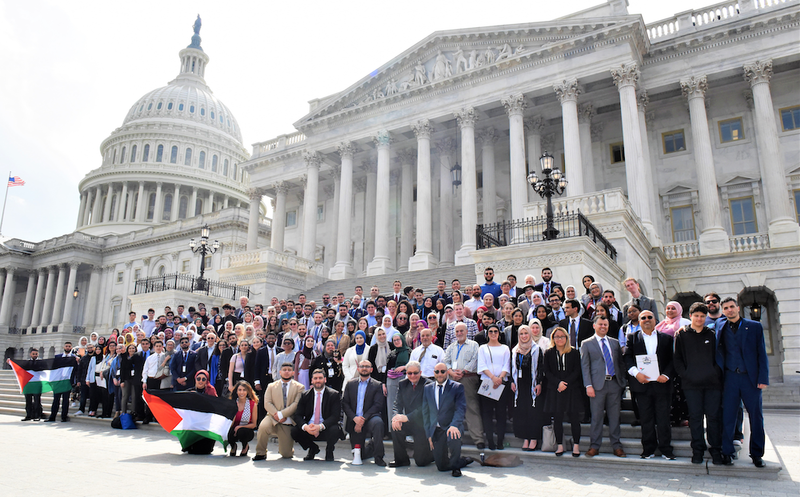 This year’s Palestine Advocacy Day & Training by the American Muslims for Palestine (AMP) doubled from last year, with over five hundred participants of all backgrounds and faiths representing thirty-two states, and meeting with the offices of one hundred and ninety-one Members of Congress. This year was unique following the historic election of the first two Muslim Congresswomen. 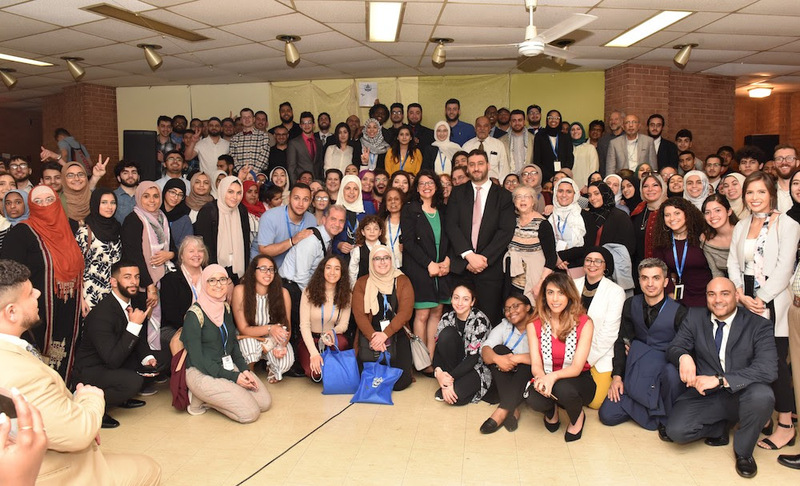 Rep. Rashida Tlaib addressed the conference and once again emphasized the need to support interconnected struggles from Palestinian human rights to the rights of immigrants and black communities in the U.S.
3) Supporting humanitarian aid and human rights for Palestinians in the Gaza Strip. Over the weekend, participants heard from elected state representatives, policy and civic engagement experts on the basics of government, how to lobby and craft an effective message, and the necessity of voting and supporting—or even leading—campaigns. The training program had two tracks for both new and returning advocates and included a diverse panel of speakers in the two-day training. Advocates heard from current staffers on the Hill; from grassroots organizers who pushed for local resolutions and organized municipal campaigns in support of Palestinian human rights; and from a speaker who helped turn advocacy for Palestinian children into a congressional policy issue. Wassim Kanaan, AMP-NJ Chapter’s Government Relations Director, attended with a delegation from New Jersey and presented on the fundamentals of government and lobbying. “The community working for justice in Palestine is strong and ready to work. PAD has prepared me to go home and work in-district, and make sure that our voices are counted when it comes to the conversation in Palestine,” he said. “A great amount of credit must also go to our staff, chapter leaders, and volunteers, whose tireless efforts continue to make this project a success. But, more importantly, the success is built on the dedication of our community and allies to the Palestinian cause. Indeed, without vanguards, there is no justice. Without freedom fighters, there is no freedom. Without hard work, there is no change. The support of both our participants and donors is critical in this movement for change, and we are grateful for everyone organizing and contributing to the effort to shift U.S. policy on Palestine,” he added.